Noting that the “lone wolf” Berlin jihadi is turning out to be a “known wolf” who was under surveillance by German authorities, SiriusXM host Raheem Kassam asked Jasser why more is not being done to thwart Islamist terrorism. “As you know, in the work that I do, I attract most of these barbaric Islamists. Look at the Paris attacks. The Paris attacks occurred in November, and in March, the same cell committed a second act. These guys hid out in Islamist insurgent communities. Not militant communities, but insurgent communities that protected them from the police. That tells you how big the problem is. And this guy now is probably similar. I guarantee you he’s not hiding out in churches or synagogues,” Jasser said. 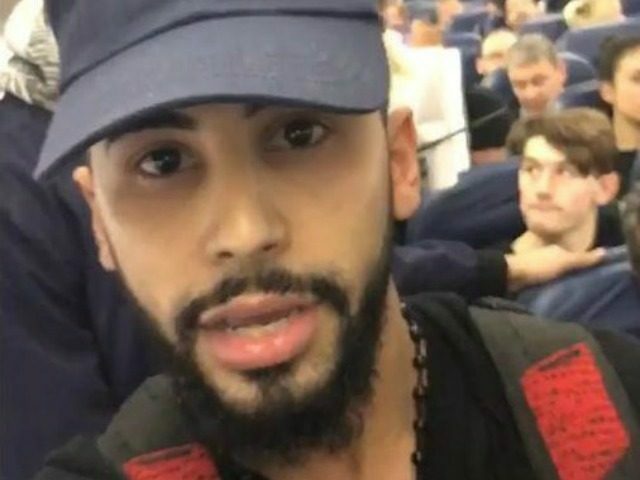 Kassam spotlighted the recent media frenzy over a Muslim prankster allegedly getting kicked off an airplane, allegedly just because he spoke in Arabic, although he has been called out for staging a hate-crime hoax. Kassam contended there were real acts of discrimination against Muslims, but their number is much smaller than activists and hoaxers claim. “Does this make it easier or harder for everyday Muslims?” he asked. “So what happens is, by mocking it and exploiting it, and then saying. ‘Oh, he was discriminated and kicked off,’ but actually lying about it, not only is it a ‘crying wolf’ phenomenon, where those who may be discriminated against are going to be ignored, but it soaks up the bandwidth of what we should be doing,” he explained. “We have to abandon that and say, ‘You know what? We’re done with the grievance mills. They are corrupt.’ We need to no longer identify as a collective as Muslims, but identify as Americans first. That’s the main core harm that’s happening with these types of wackos,” he said.